Welcome to Unforgettable Croatia. We are the UK’s largest luxury tour operator to Croatia offering a handpicked choice of luxury small ship cruises in Croatia on board our own chartered ships and highly personalised tailor-made holidays. We love Croatia. From the iconic sights of Dubrovnik, beautiful natural splendour of Plitvice Lakes, chic cosmopolitan living in Hvar to the lesser known medieval villages in Istria, we are enamoured by this magnificent country. With offices and staff in London, San Francisco and Split we’ve grown to be the market leaders in luxury experience driven holidays to this magnificent country. 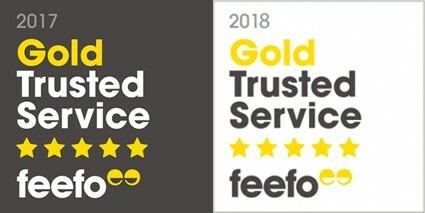 We’re exceptionally proud of the 99% Feefo feedback rating we have achieved, which is attributed to our unrivalled market knowledge, acute attention to detail and our commitment to ensuring every client that travels with us is treated like family. We’re passionate about designing ever lasting travel memories and we strive to be at the forefront of creating truly authentic experiences. We are proud to work with highly sought after private guides, who share our belief in introducing our guests to hidden parts of Croatia including private tasting experiences, intimate cooking classes with top chefs and more. Because we specialise in holidays in Croatia we have built up a fantastic range of contacts throughout Croatia, which we use to our advantage to obtain clients free upgrades where possible and ensure our clients have unforgettable holidays. Our Croatia experts have hand picked the best luxury hotels, tours and travel guides that Croatia has to offer. We regularly visit our suppliers and carry out audits, to ensure all the holidays and tours we recommend are the best on offer. We are firm believers in that luxury service begins the moment you get in touch with us, continues throughout the itinerary creation and booking process and well after you return from your trip with holiday blues. We’ve created unique extra’s throughout your booking and travel process with us, to show you how much we value you as our customer, and want to make sure you have an unforgettable holiday. We’d love to tell you a little more about these extra’s but that would be spoiling the surprise! We are ATOL protected (ATOL no. 7583). Our ATOL cover provides financial protection to clients who book flights and a holiday with us. Looking to book a yacht for romantic sunset drinks for two? A helicopter transfer to your hotel? Or simply a private guided Game of Thrones tour around Dubrovnik, whatever the request, our concierge service are here to help. We take the hassle, planning and cost out of booking day tours and experiences on holiday for you, by recommending and booking tours and unique experiences to make your holiday even more special. The cost of these activities is added to your final holiday invoice, saving you the unnecessary costs and worry of exchanging and carrying more holiday money.